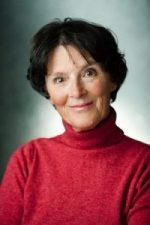 On Tuesday 11th April at 2.30 come and meet author and actress Susan Jameson for pony stories and horsey fun! Susan is very well known as an actress, and has starred in many popular TV programmes, including the BBC crime drama ‘New Tricks’, ‘Midsommer Murders’, ‘Coronation Street’ and ‘When the Boat Comes In’. She is more familiar to younger viewers for her role as Great Aunt Loretta in the children’s BBC TV show ‘Grandpa In My Pocket’. She has also dabbled in screen writing, including writing three episodes for the famed children’s series The Hoobs. 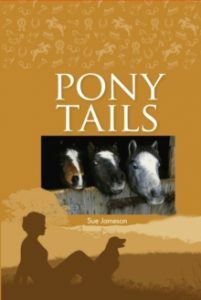 Now Susan has written her first novel for children, ‘Pony Tails’, the story of 4 amazing ponies; A Connemara, a Shetland, a Welsh Cob, and an Exmoor, and the people whose lives they changed. The book is loosely based on ponies that Susan and her husband, the actor James Bolam, have rescued over the years. ‘Pony Tails’ is published by Forelock Books, a new publisher dedicated to publishing equestrian titles. Susan will share her pony stories, and talk to children about animals, acting and writing. Suitable for ages 8-11 years. Free refreshments will be served, ticket price gives the bearer £3 off a Forelocks Books pony book.